Set along the cliffs between mountain and sea, Hermanus is one of the most popular holiday and travel destinations in South Africa. Initially it was the abundance of fish in Walker Bay, along which the village rapidly grew, that attracted holidaymakers. Today, the stars of the bay are undoubtedly the Southern Right Whales that migrate from Antarctica to mate and calve here during the winter months. But it is not only the wonders of the sea that draw thousands of visitors to this picturesque village and surrounds year after year. Mountains, fynbos, culture, arts, crafts, country markets, adventure sports, scenic walks, golf courses, nature reserves, shark-cage diving, historical landmarks, and the vineyards and world-class wines of the Hemel-en-Aarde Valley are richly described and illustrated in this lavish volume. With chapters covering all aspects of the town’s diversity, the reader will learn more about all that is so generously on offer here, and also catch a rare glimpse of the heart that drives the town: the people and communities that have shaped this favoured destination. A self-published edition of Hermanus appeared in 2010. Now republished as a new title the book features entirely rewritten text and fresh photographs throughout, many commissioned especially for this edition. Since then, many Great Whites have been tagged and have shown a propensity for undertaking long migrations – but none has yet matched Nicole’s amazing feat. This story incorporates a blend of science, actual events and real people, along with conjecture as to what might have happened on Nicole’s momentous journey. Do you know why you should never order the second cheapest wine in a restaurant? Can you tell the difference between syrah and shiraz? 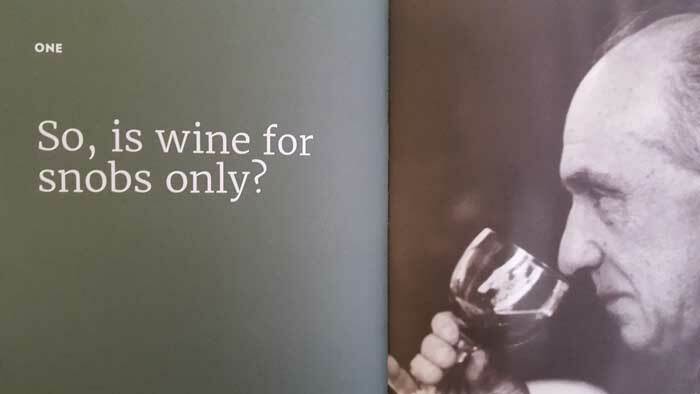 How about which wine pairs best with KFC? In a straight shoot-out between wine and beer, do you know which will make you fatter and which one is more likely to get you out of an avalanche? 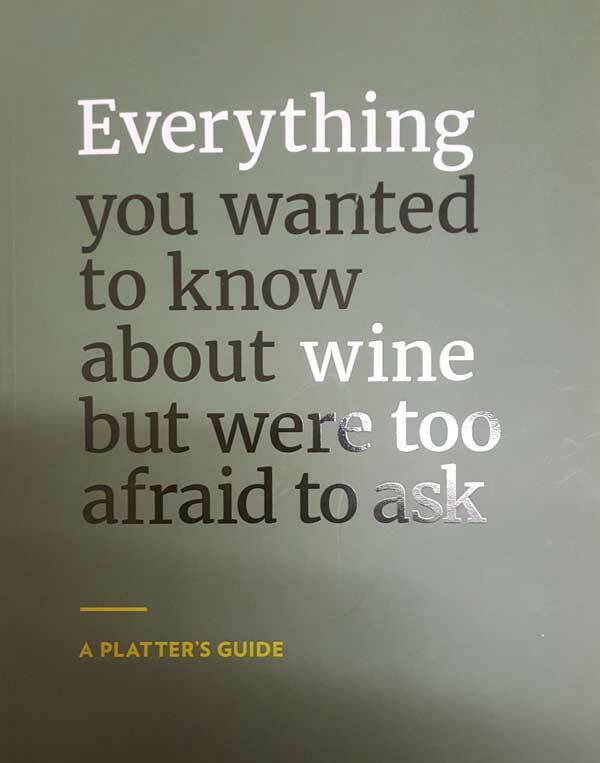 If you’ve ever had to fake your wine knowledge (like we all have), then Everything you wanted to know about wine but were too afraid to ask is the book for you. 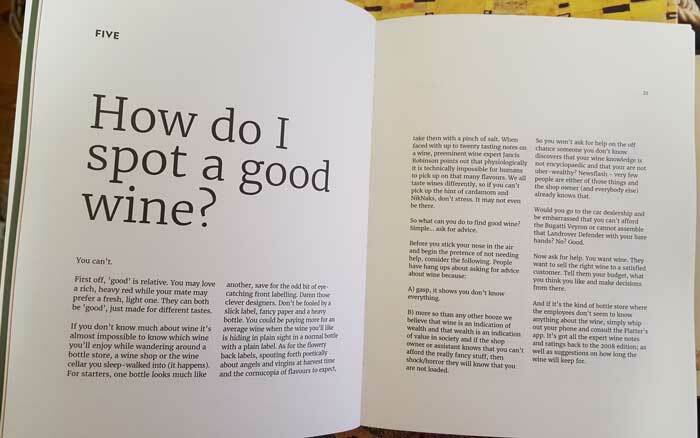 A cheat sheet on wine, from tasting to cooking, pairing with food, dealing with snobs, opening bottles with boots and spatulas, collecting and (of course) drinking wine.